As vast and dramatic change sweeps the entire planet one of the most noticeable and biggest changes we experience is the shift in our personal relationships. This is true for all types of relationships with friends, family, co-workers and community. Yet the one of the biggest transformational journeys we can embark on during this time is within our intimate relationships; as more people open up searching for their Soul Mate and the Twin Flame hype continues to grow in popularity and become more widely known beyond the small community of what it once was - why? It’s based on Energy and Frequency - everything on Earth continues to shift into the higher octave - everything in our lives which doesn’t support our new life as we raise our own frequency and this absolutely includes our most personal and intimate relationships. What I like to call Divine Partnership - this title encompasses all facets of understanding, whether it’s a soul mate, twin flame, twin soul whatever name or label you describe it - it can vary from one person to the next. What truly matters is the energy connection and compatibility. There are so many teachings and schools of thought which describe what so many NOW are witnessing across the planet - there really isn’t one size fits all as I have learnt along the path each level of awareness and consciousness brings new levels of understanding as well as experiences. As each individual's journey is quite unique and perfect for their soul growth and expansion. Over all the work I have done over the years in getting to know many people and clients walking this sacred journey one thing which is consistent is ‘energy connection does not lie.’ Regardless of the intense initiations as part of your own transformation which each person goes through - the purity of a Divine Counterpart connection never fades and in actual fact supports this process either afar or near as it is part of the soul contract which both agreed to before this incarnation. What we are noticing at such huge proportion is quite literally people changing the Cosmic Dance of relationships as we have known it! As our world moves from the 3 Dimensional paradigm into the 5th Dimension or what I like to call ‘NEW EARTH’ and as we prepare for these changes our relationships transform in order to support not only ourselves but this NEW WORLD emerging. Many will experience or already have ‘the switch’ from our 3D relationships, which were built upon old outdated concepts which were indoctrinated into our society and belief systems - and move into 5D relationships which are based much more around the energetic compatibility, balance and harmony. For some this may be switching up and finding a new partner and for others it will be going through change and transformation together. Regardless of which experience you go through what is most prevalent and important is the inner workings of the internal process of changing our inner vibration and frequency to obtain self-mastery, inner balance and harmony within oneself. Divine Partnership (for those who have chosen this pathway, not for everyone) if you resonate with this concept then trust your inner knowing and guidance and take what works for you! Pre-planned connection before this incarnation that you will come to Earth during this time to find your way back to each other through series of synchronistic events that in some ways would be unimaginable - in this way sparks your attention in absolute knowing that there is a much higher divine cosmic forces at play and with your connection. It can be one of the most elusive partnerships to work out ~ especially if you are on the path knowing you're seeking this Divine Connection, it can be subtle at first as the connection builds overtime and will reveal itself to you only when the time is right! In some cases it can be the one you least expect - be prepared for the unexpected! In preparation for this connection, one or both partners can go through a series of intense relationships and encounters with other people. This is part of the process to help align and raise your frequency while closing off old past life relationships, clearing out any residual karma or advanced learning with the intention of bringing resolution into full cycle completion prior to or embarking on or during the Divine Partnership journey. This Partnership sparks the essence of remembrance of who you really are at a soul level, it is the catalyst to lift the veils of amnesia to remember what your soul’s purpose is during this lifetime. Just a few key points to the Divine Partnership Journey that I will be exploring and coving in much more detail in a series of upcoming articles. Also exploring in depth the purpose of this connection from the Energy Perspective - Divine Alchemy of what is possible and what can be achieved when in Energetic Collaboration and Harmony ~ It’s out of this world and pure magic in the most Divine sense! The common link which resonates true for these connections is that energy does not lie and cannot be fooled - the most effective way in aligning your connection with Divine Partnership Relationship is to work on your on Energy and Personal frequency - as you vibrate on a higherlevel everything which is no longer a frequency match will fade out of your life and all that matches your new level will magnetically be drawn into your reality. Keep it very simple! Divine Partnership is your exact energy match! 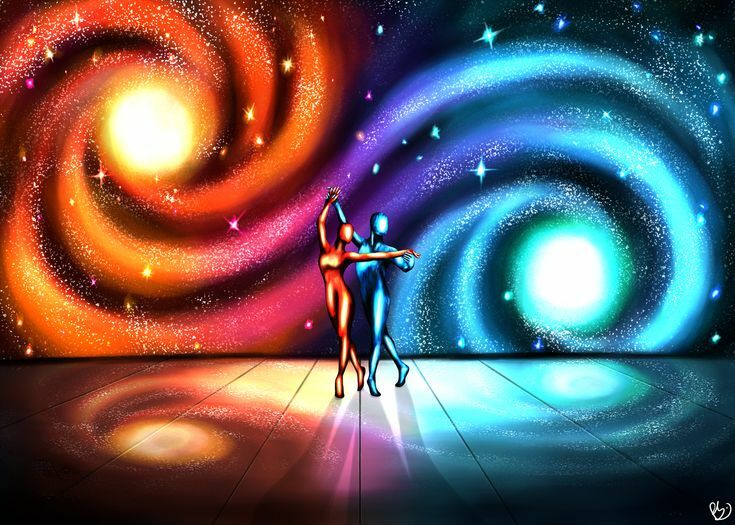 So instead of changing the steps of your dance, change to the cosmic dance - shifting your vibration, becoming the best version of yourself, aligning with your purpose and mission brings about harmonic resonance to everything in your life including your Divine Partnership! Are you hearing the call? Are you aware of your higher destiny which awaits? Are you on the Divine Partnership journey? Can you feel your mission or life purpose calling you? Are you ready for the next step in your personal & spiritual evolution?